Use Formidable Forms Pro to protect your gated content file downloads and offer a download file on submit. Gated content is content that can only be accessed by users who submit your form. This ensures that only people who have paid for the content (via your form) or submitted the required form to access the content (such as a lead generation form) can access the content. Formidable will protect your content so it can't be illicitly shared with others. Create a new Form; name it "Protected Files." Next, add two fields; the first will be Single Line Text field and name it File Name. Now, make this field required and unique. 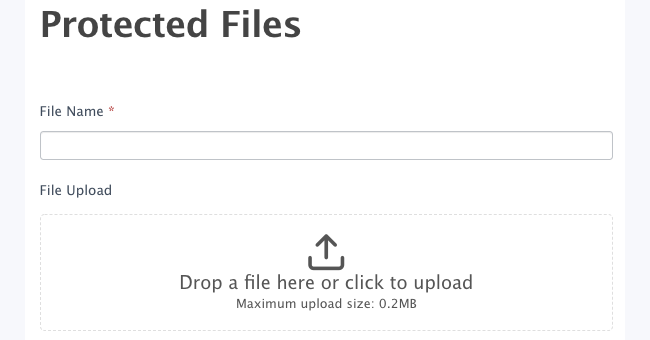 Second, add a File Upload field. Next, click Create to save the form. When the form settings load, check the box that says Protect all files uploaded in this form. Lastly, click Update to save the form settings. Create a new View; name it "Display Protected File." Next, set the View Basic Settings to show a Single Entry. Go to your existing form, or create a new one. Once in the form, go to the Form Settings. Now, set the Form to Show a Message on submit. Finally, update your form and you are done!